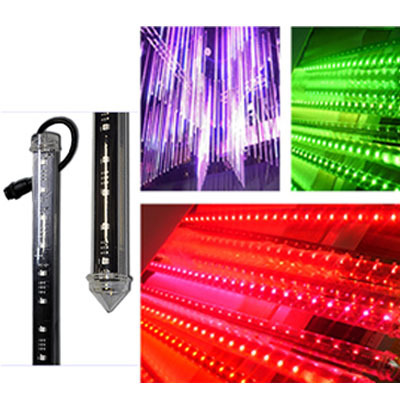 This 3D vertical led tube is SPI signal,each led is indidual controlled(both side)led tube,also can be dmx controlled by dmx controllers. The IC model is 65536 gray scale MY9221. 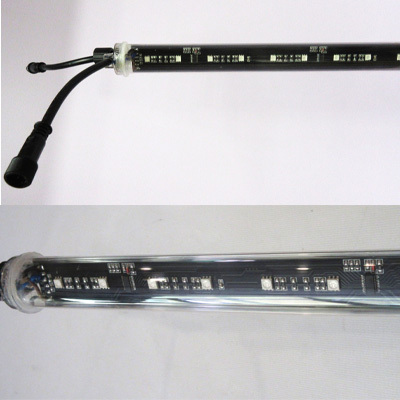 The tube is DC12V,the width of the board is 28mm.IP67 waterproof can be use outdoor decoratio, waterproof quick connectors. 1. 0.5M: 4PCS MY9221 IC,16pixels,32 pcs individual control leds,9.6W per pcs. 2. 1.0M: 8PCS MY9221 IC,32pixels,64 pcs individual control leds,19.2W per pcs. 3. 1.5M: 12PCS MY9221 IC,48pixels,96 pcs individual control leds,28.8W per pcs. 3. 2.0M: 24PCS MY9221 IC,64pixels,128 pcs individual control leds,38.4W per pcs.